Hi my beautiful friends. How are you all doing? 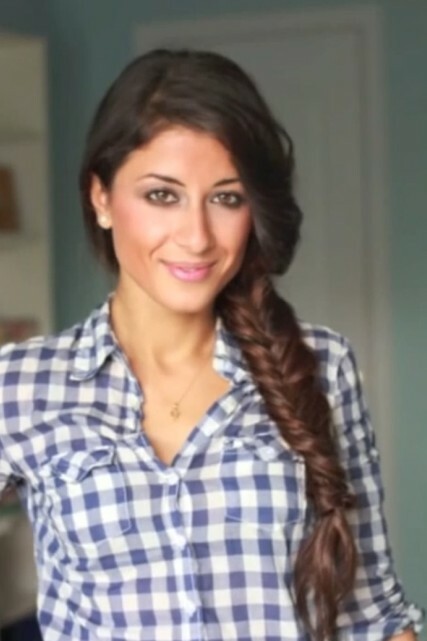 It’s Mimi here today and today’s tutorial is going to be on a very easy every day fishtail braid. I personally have been obsessed with braids lately, but I don’t think it’s just me. Every time I’m watching TV or going through magazines, braids are like, super, super hot right now. So, I thought i would share with you another one of my favorite braids, which is a very wearable fishtail braid. 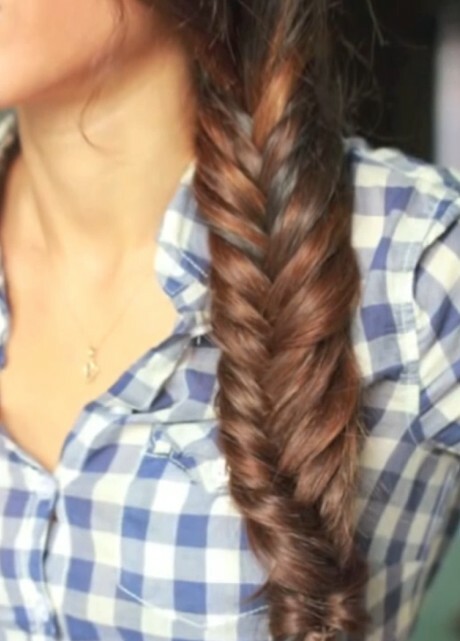 I know most of you girls would probably agree with me that a conventional fishtail braid takes forever to do. It can take like, fifteen or twenty minutes, especially if you have long hair because you have to take small sections, bring it over, bring it over. So, I personally do a completely different thing. I take very chunky sections and it takes me about five minutes, so I thought I would share it with you because lately I’ve been wearing my hair like that quite a lot and everyone complements me and my friends are like, “I could never do it”, and I’m like, “yes you can, it’s so easy”. So, [inaudible] for this tutorial – get into what we’re going to need for this. We’re really not going to need much – just a hair brush, hair elastics – just the little ones that you can’t really see them – and then I am wearing my Luxy hair extensions, 160 gram set in chocolate brown. And I’m not wearing the full set because I’ll be wearing them on the side and it’s kind of tight in here. I skipped on the clip, the one clip and the two clips that go here. Other than that, I have the whole set. So, the first thing we’re going to do is just brush the hair so there are no tangles or anything and then just put the hair in two like you normally would with a fishtail braid. 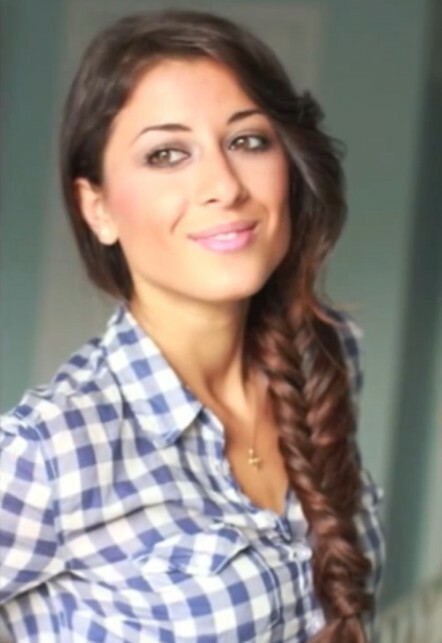 Now, the first thing you want to do – and if you girls haven’t seen my fishtail braid tutorial I’m going to link it in the info box below, but I think this one will probably be easier to grasp, especially if you’ve never done a fishtail braid. So, all you do is take your index finger, take a section from here, and because I’m doing an everyday fishtail braid – very wearable, very easy, it’ll take you five minutes – you want to take bigger sections. So, I’m going to take a section like this – it’s probably like half and inch, almost an inch. You bring it over to the second section and then you just drop it there. And now with you index finger over your left hand, take a section, bring it over and just drop it there. And then take your index finger, grab a section, bring it over – and I will be doing the exact same thing. You just repeat the same steps – take a section with your index finger, bring it over, and then just drop it there. Section, bring it over, drop. And, you know, you don’t have to make perfect sections, you know. Take chunky sections, big sections – you know, depending on how much time you have you can take bigger sections. If your sections are too big it might look like a regular braid, but it will still look a little different. So I am taking pretty big sections because I want to show you guys how easy it is to achieve this look in no time at all. So just continue doing the exact same thing all the way down. And this is where I’m probably going to stop – I’m almost at the end of the hair. I’m just going to probably braid a little more and stop when I still have quite a lot of hair at the bottom – this much. And I’m going to just take the elastic and you know, grab the end and just put the elastic through. 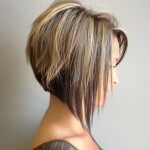 So the last step that you want to do is just fan the hair out just because you’re going to make it look way thicker. So even if you’re doing this tutorial with your own hair and you think your hair is fine you know, you can create thickness just by you know, fanning out the hair and this is really all you’re going to be doing. Very pretty, great for everyday because it still looks like a regular braid, but it’s just a little different than the regular braid. I’m done. I hope you guys enjoyed this tutorial. Definitely give it a try and don’t forget to rate this video down below and leave a comment. Thank you guys so much for watching. Love you, and I’ll see you in the next tutorial. Bye. 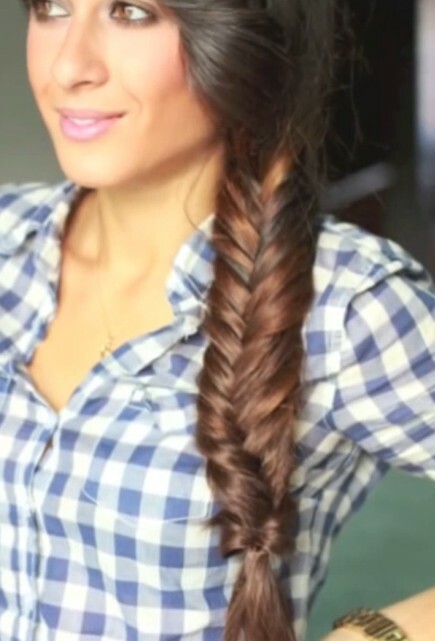 And here is another fishtail braid tutorial, enjoy.